EPISODE 15 NYE WITH JAY LIGHT & VALERIE TOSI! 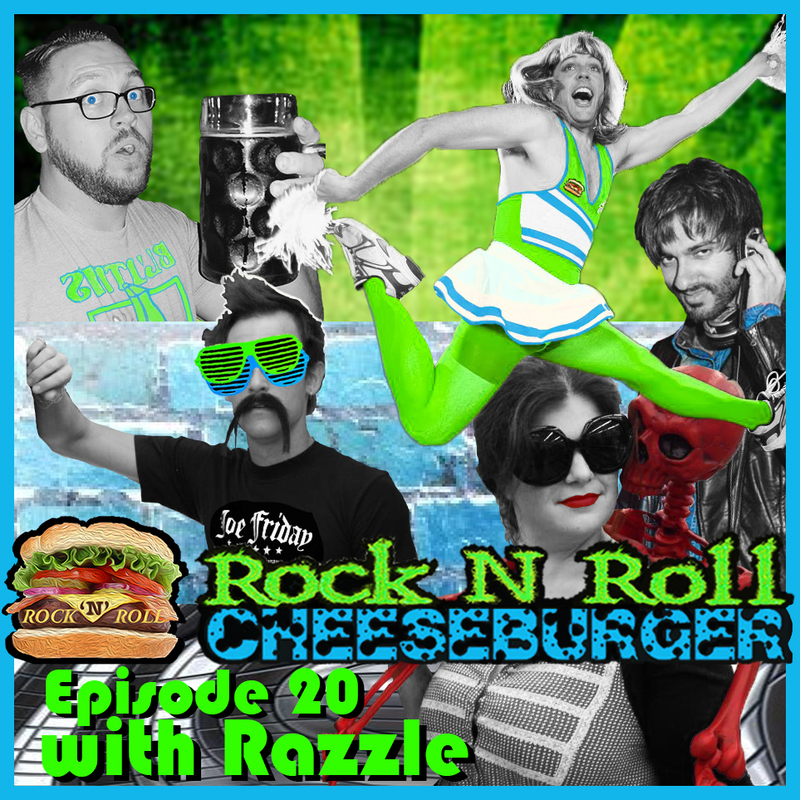 Rock N Roll Cheeseburger welcomes Comedian Jay Light and Seductress of Comedy Valerie Tosi in for our Year End Burgerings! 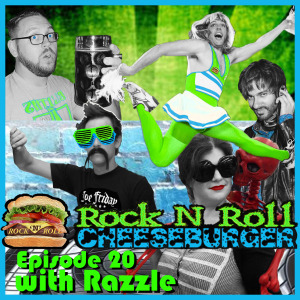 Rock N Roll Cheeseburger Episode 15! 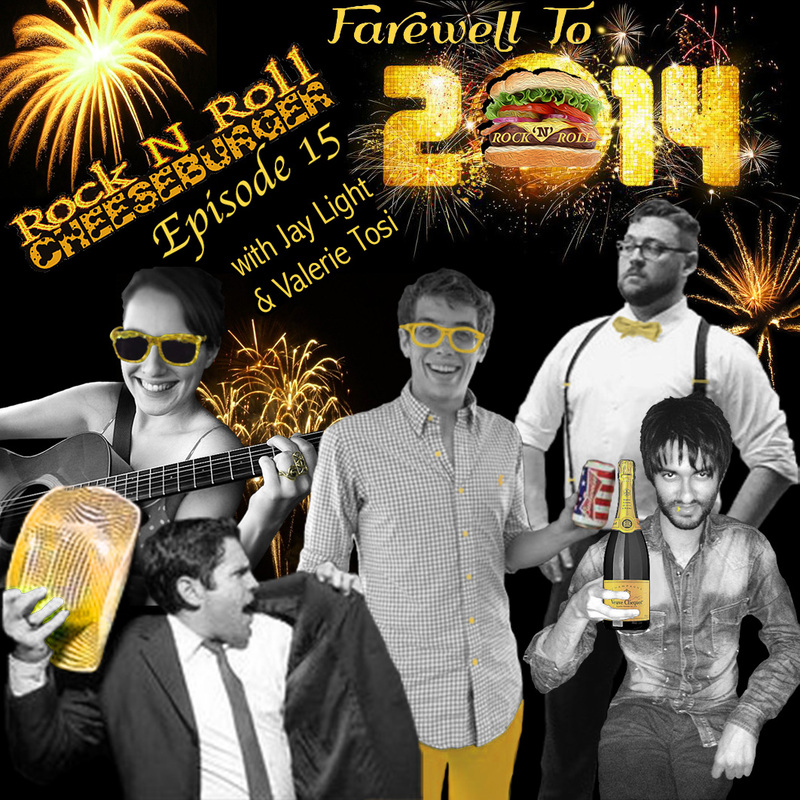 The quick and powerful Jay Light joins returning guest host Valerie Tosi for our year-end burger-up! We drink large holiday cans of Stella Artois® as we discuss Almond milk, Films of 2014, Highschool make-out spots, and New Year’s Resolutions. We rock the balls off 2014 with a rumbling cut from Tilts with “Thomas Jefferson II” and a boombox-worthy cut from hip-hop artist Bloodshot with “Goodmornin”. We have a special holiday public service announcement for your physical, financial, and mental health. And we hear a comedy sketch for all the wordies in the burgersphere.